A new set of AirPods is slated to arrive by 2020 at the latest, and a massive new leak of features has painted a detailed picture of what to expect. This latest leak says that the earbuds’ overall design will remain untouched, though a number of improvements and subtler changes will still be introduced to give the buds new life. Apple’s SVP Luca Maestri recently stated that the company’s wearable business is “approaching the size of a Fortune 200 company,” in a recent earnings call. That’s not bad, considering that Apple’s only wearable products are the AirPods and its Apple Watches. Rather than letting perfect become the enemy of the good, it seems that the Cupertino-based company will simply improve the AirPods with slight tweaks. The AirPods 2 might look a lot like their predecessors, but they'll likely be receiving some game-changing features. MySmartPrice doesn’t go into detail about how Apple will go about boosting the AirPods’ bass, though, of course, you don’t have to look too hard for sensible theories. Many of the Beats-branded earbuds already tout “micro-pressure balanced bass” using “dual-chamber acoustics.” It’s actually surprising how little Apple seems to have used the acoustics talent it acquired when it purchased Beats electronics, one of its largest-ever acquisitions. It also looks like the company will try to improve the AirPods’s grip. While it’s true that there are a few Apple die-hards who have claimed that the AirPods don’t slip out even in the most extreme circumstances, hundreds of customer claims in Apple help forums indicate otherwise. For this reason, it appears the AirPods 2 could come coated in a grippy finish that will keep them secure even when you’re hitting the treadmill. 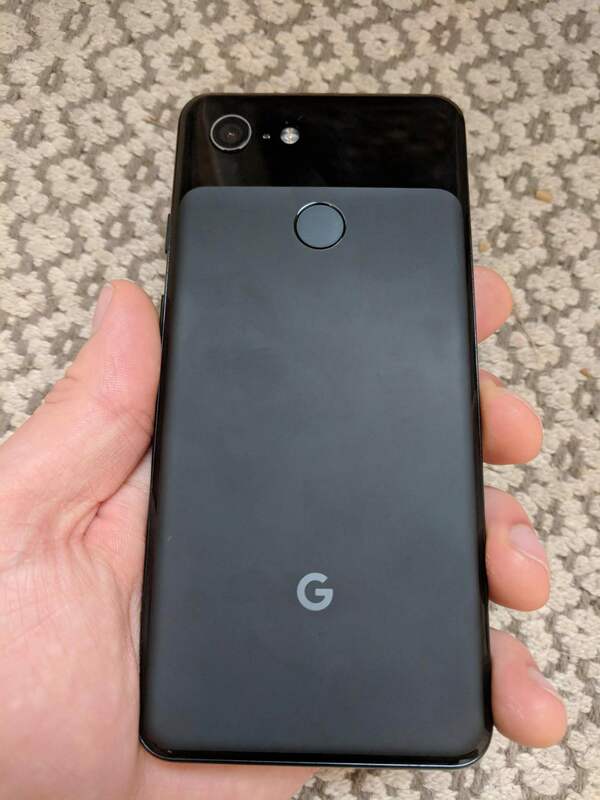 The report stated the grip would be akin to the fogged glass texture on the back of the Google Pixel 3. Improved bass and better grip would mean you can blast tunes at the gym without worrying about your AirPods 2 slipping out. Alone, better bass and a stronger grip would be pretty marginal improvements, but MSP has one more prediction: way more biometric sensors. The updated earbuds are expected to feature health monitoring functions, a move that would shift the product away from a simple audio player and more into a multi-purpose wearable. Trusted Apple analyst Ming-Chi Kuo predicts that the follow-up to the AirPods will include include biometric sensors for health data, which is backed up by a patent filing that categorize the new AirPods as a “wellness instrument.” These major additions could make the AirPods 2 an alternative purchase for users that don’t want to splash out for the Apple Watch Series 4 but still want to track their workout routine. Biometric sensors could level-up the AirPods 2 into health-tracking tech instead of just audio players. There have also been a number of other capabilities expected to be added to the AirPods 2. One of the most notable ones was improved Siri support, which has been put forth by Kuo, and which would allow users to summon Siri without having to tap the pods. The notable Apple reporter Mark Gurman also suggested that the new earbuds could be water-resistant, this wouldn’t make them completely waterproof, but they’d be capable of handling splashes. This potential feature might have been teased during this year’s iPhone keynote, during a scene where an AirPods-wearing runner bounds through a fountain. A recent Apple patent that most likely depicts a separate set of over-ear headphones the company is planning for aside from the AirPods 2. Finally, both Gurman and Kuo suggested that the AirPods 2 could be an over-ear headset. But Gurman revised his prediction on January 24, saying Apple would launch a separate set of over-ear headphones similar to products sold by Bose and Skullcandy. An unearthed patent seems to depict the upcoming product. So even though the AirPods 2 release likely won’t fundamentally change how Apple’s famed earbuds look, it will still introduce a number of needed refinements while also breaking ground as a new kind of health-tracking accessory.